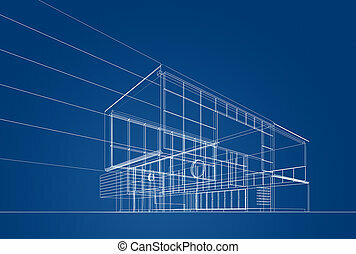 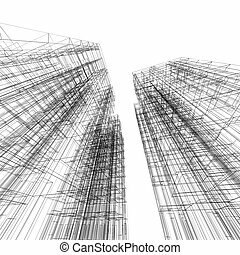 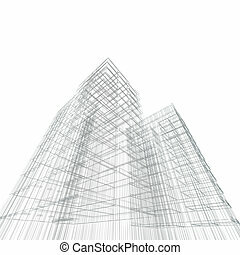 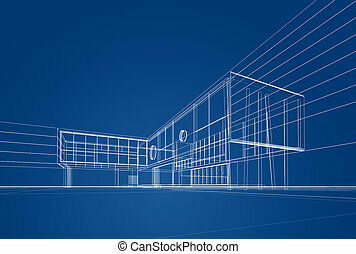 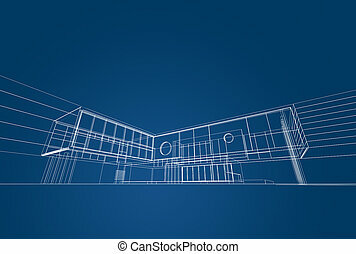 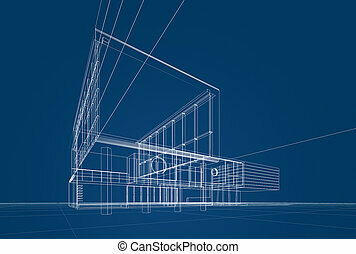 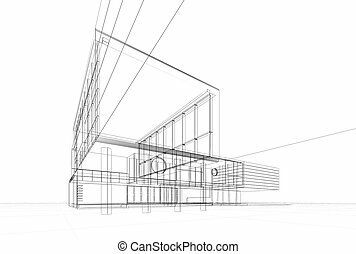 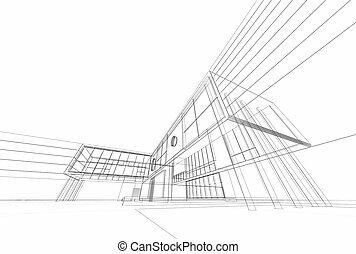 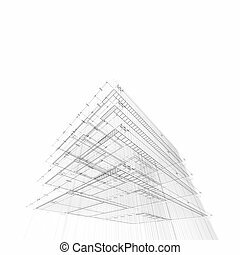 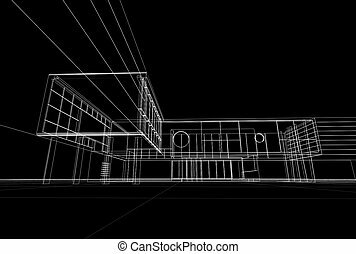 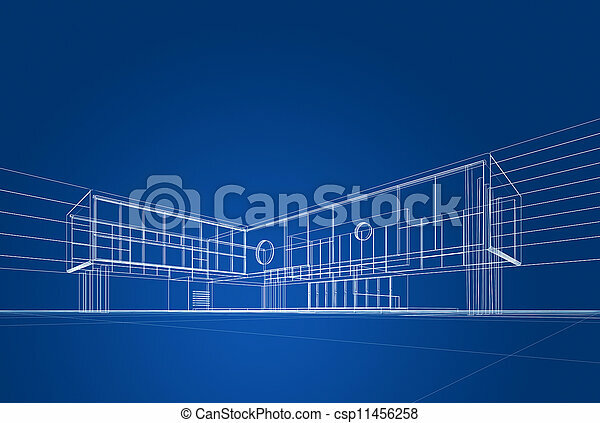 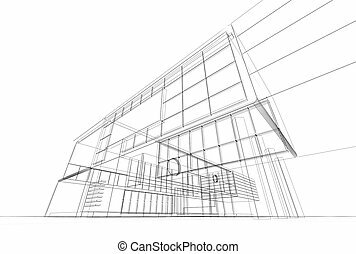 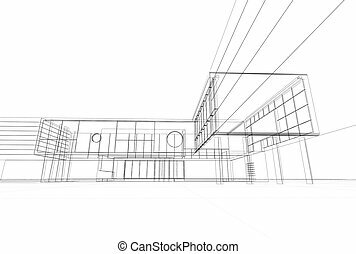 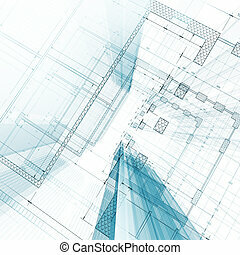 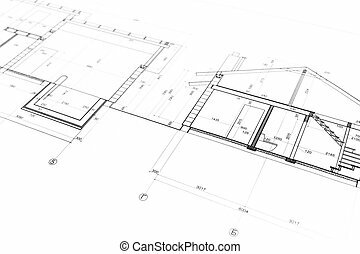 Architecture blueprint on blue background. 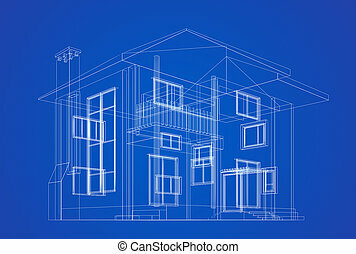 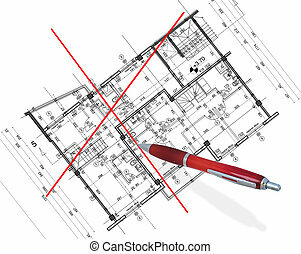 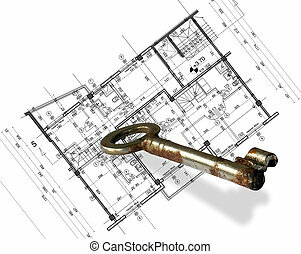 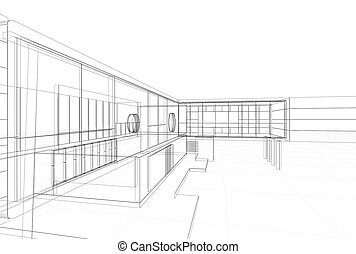 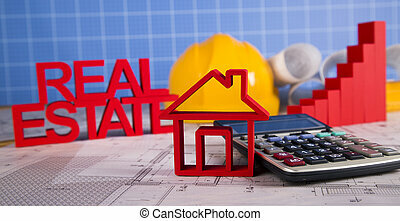 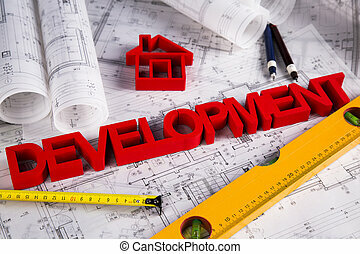 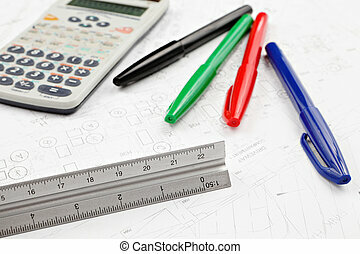 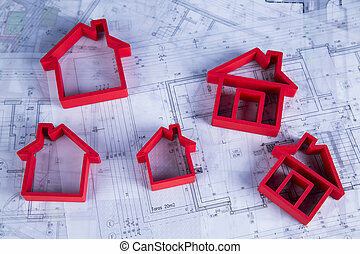 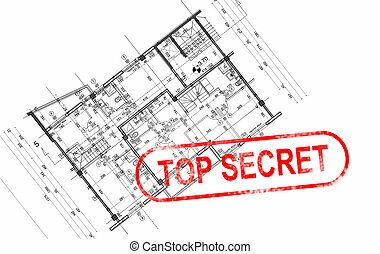 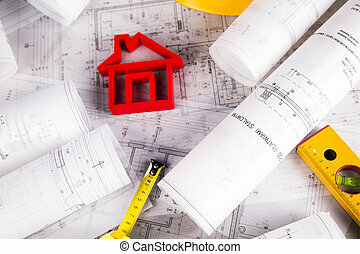 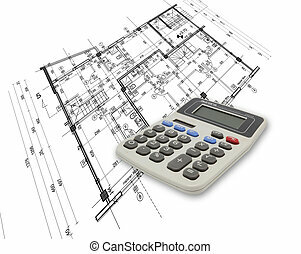 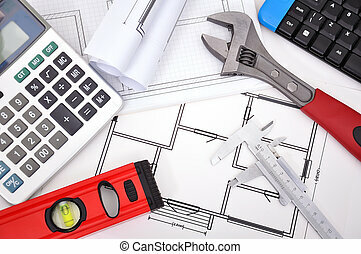 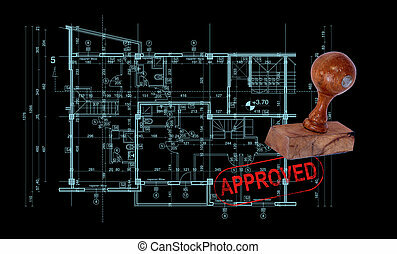 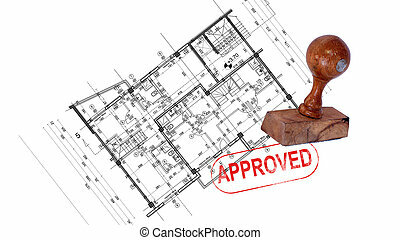 Home building construction plan as background. 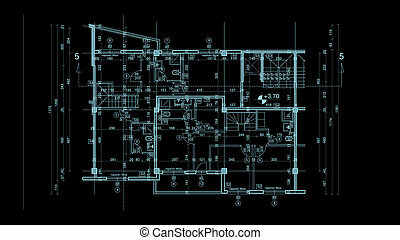 Blueprints series. 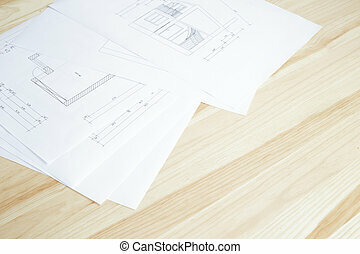 Close-up of architecture blueprint over wooden table.